Fix My RV in Peoria Arizona is the top RV service company in the Phoenix area. 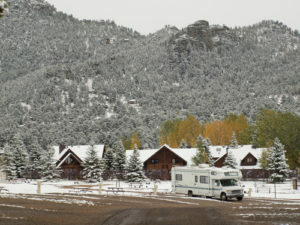 We understand the investment of an RV and the value it has to you. That’s why we put care and detail into all the work we do. We want to make sure that you stay comfortable during all types of weather from rain to shine and from hot to cold. We perform many services from RV air conditioning maintenance to RV furnace repair. Here in the winter months, it is especially important to keep your heating and cooling systems in top shape. In Phoenix and Peoria, it rarely dips below 45 degrees, but if you are traveling for the holidays Christmas Vacation style, you’ll know that other parts of the country get pretty frigid. Attention to detail is our specialty, but RV furnace repair is something we take very seriously. If you are on the road and your furnace breaks, you could be in a chilly world of trouble. Before you take off on your trip, make sure you visit Fix My RV for all your service and maintenance needs. We also do RV inspections to make sure your recreational vehicle is in ship shape for your cross country trip. In addition to RV furnace repair, we also are an Aqua Hot Heating System Factory Authorized Service Center. Aqua Hot is the top name in recreational vehicle heating and we can make sure your heating system is ready to go for any occasion. If you find yourself in a bind or can’t remember the last time you had your RV serviced, give us a call today. Our work speaks for itself. Find out why we are regarded as number one RV repair company in the Phoenix area. Let Fix My RV earn the number one spot on your speed dial.